Last weekend, we hosted a little cocktail party at our apartment. I decided to keep the food light -- just a few nibbles -- and to keep the emphasis on the booze. In an event that was entirely not a surprise, I was running late, busy fussing with the very serious business of shoe selection (boots? booties? flats? the list goes on...) when I should have been in the kitchen getting things ready for our guests. Barefoot and still undecided, the chef sprinted through the door after returning from the shop and I found myself left with exactly ten minutes to assemble a quick cheese spread, crack open a few bottles of smoky bourbon, and light some candles in order to give off the appearance that we are sort of, kind of, almost properly functioning adults. It all worked out in the end. In just a few minutes, I was able to arrange a few hunks of cheese on slate boards, scoop some olives into bowls, and twist open a jar of maple mustard and another of hot pepper jam. Mostly, our guests only cared about the bourbon, which merely had to be unscrewed. It wasn't until the following morning that I realized I never put out the one item I really intended to serve. 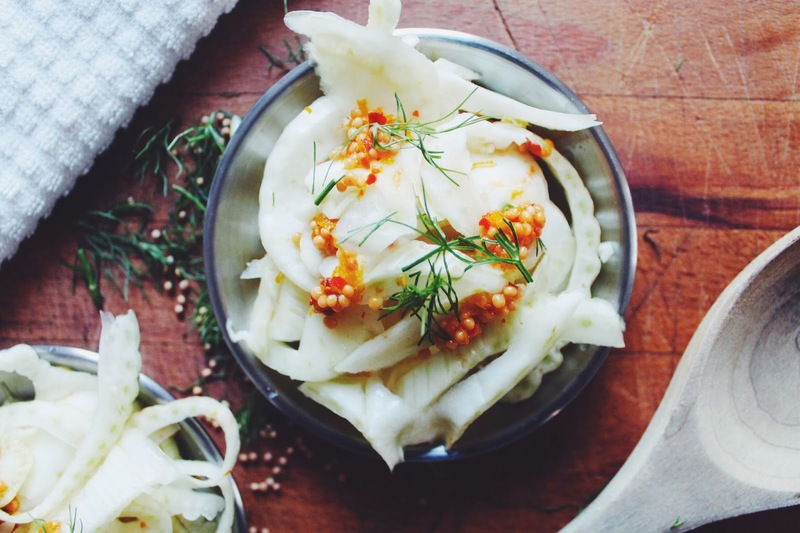 Fennel doesn't exactly scream happy holidays for many people. 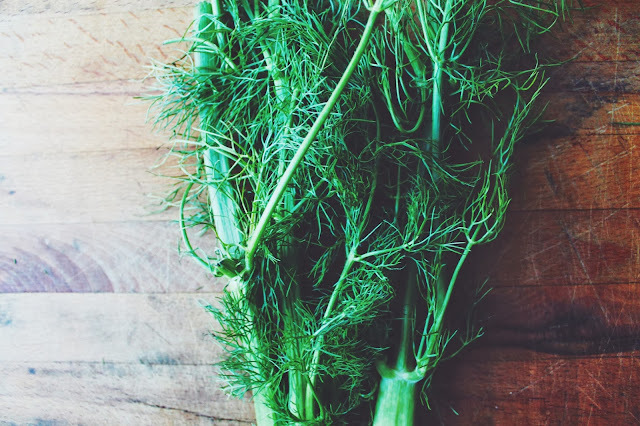 However, growing up in an Italian American family, fennel, or finochio, was a fixture at our Christmas table, almost as much of a tradition as hot cocoa or warm-from-the-oven baked goods. Every year, thick slices of raw fennel bulb accompanied the cheeses and olives and puff pastries that were meant to hold us over until dinner time. While my cousins tended to be enthralled by the sweet breads and bite-sized portions of smoked meats, the fennel was always my favorite. I liked its crisp bite, its stringy texture and its mild licorice flavor that, in some way, made me think it was a sort of vegetable candy. We won't be entertaining much more this holiday season (instead, we'll be entertained by our many family members and friends who will play host). Additionally, between the last minute gift hunt and the traveling to and from holiday get-togethers, we probably won't be cooking at home much this next week either. Rather than let my lonely fennel bulbs brown in the fridge (a personal pet peeve), I decided to thinly slice them into crescent-shaped slivers and give them a bath in a simple, but elegant orange-infused brine. The final product is a beautiful palate cleanser that tastes a bit like black licorice with a subtle orange hint. Although they're a slightly more modern version of the raw fennel I loved so much when I was a kid, I'm thinking that they'll still fit in rather nicely at the holiday table. I hope that you get to enjoy all your favorite holiday traditions this year, too. Have a wonderful, memorable and peaceful holiday. And, as always, thanks for dropping by. 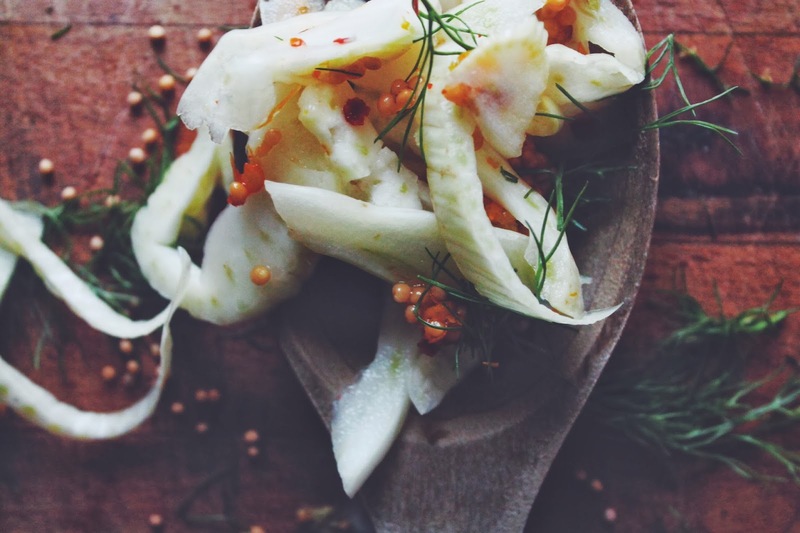 Slice the fennel into very thin slivers. 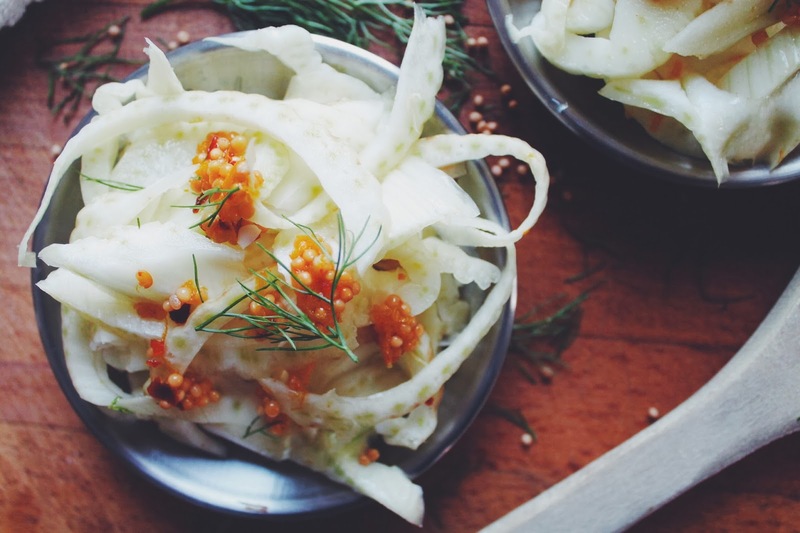 Thoroughly rinse the fennel and set aside. Add all remaining ingredients to a small saucepan and bring to a boil. 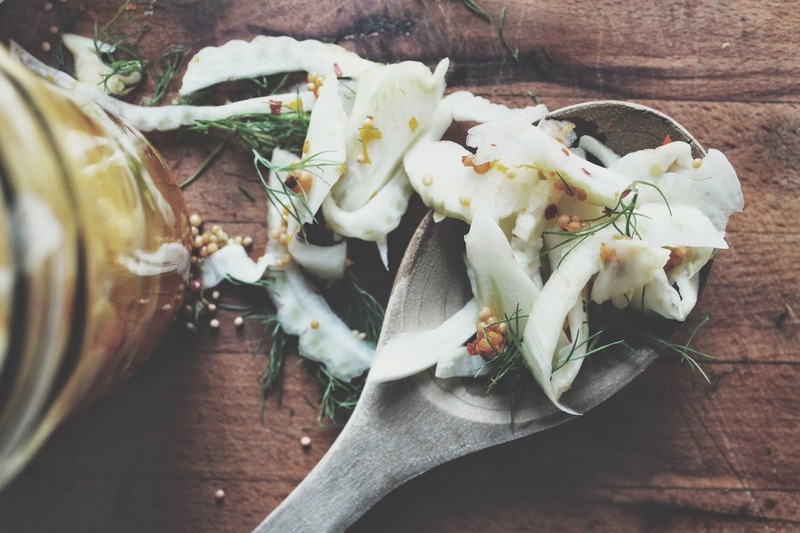 In the meantime, tightly pack the sliced fennel into a glass jar and set aside. Remove the saucepan from the heat and allow the brine to cool slightly, about one to two minutes. Pour the brine into the jar, being sure to cover the fennel completely. Allow to cool to room temperature. 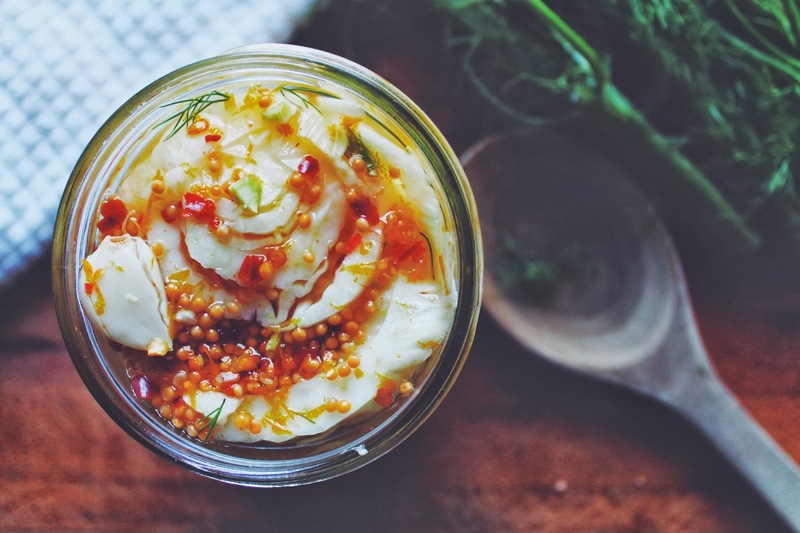 Seal the jar with a tight fitting lid. When kept covered and chilled, the pickles will keep well for 1-2 weeks.